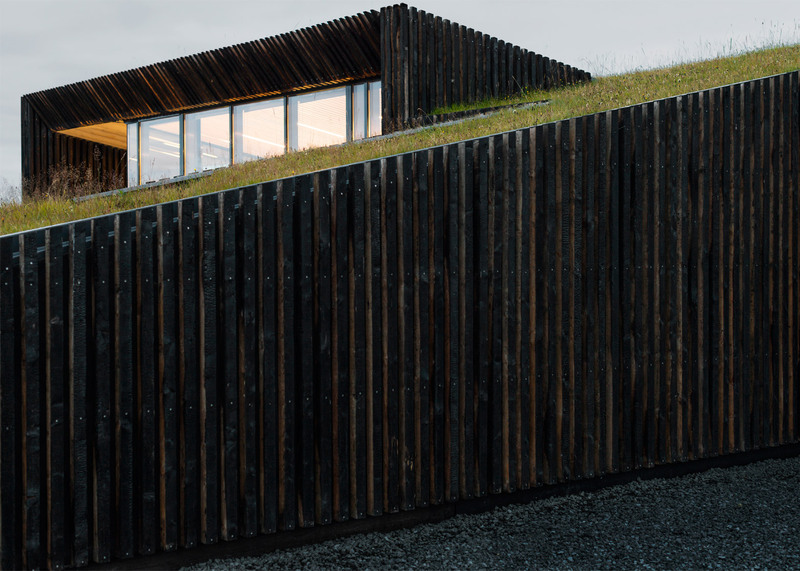 Batons of charred timber and layers of turf help this pair of holiday cottages by PK Arkitektar settle into the rugged landscape of south-west Iceland (+ slideshow). 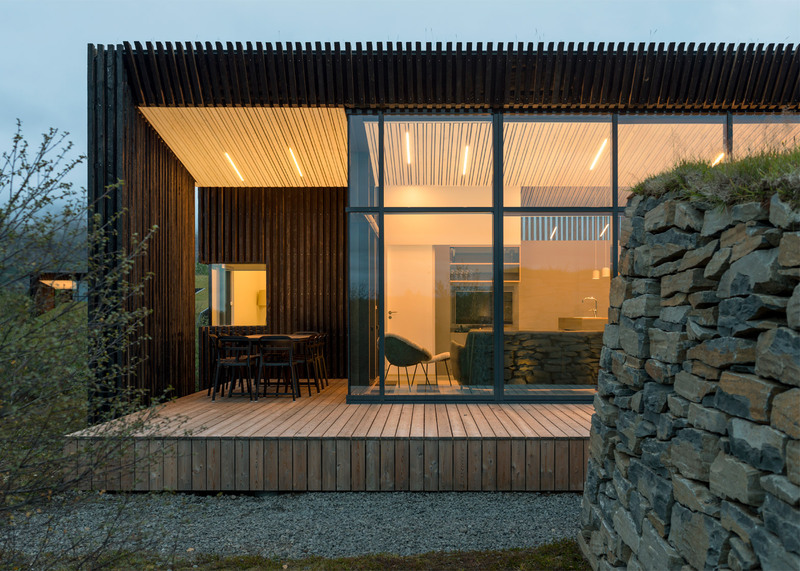 Reykjavík-based PK Arkitektar won a competition in 2012 to design the 20 rental cottages for the Association of Academics (BHM) – an umbrella organisation of trade unions. 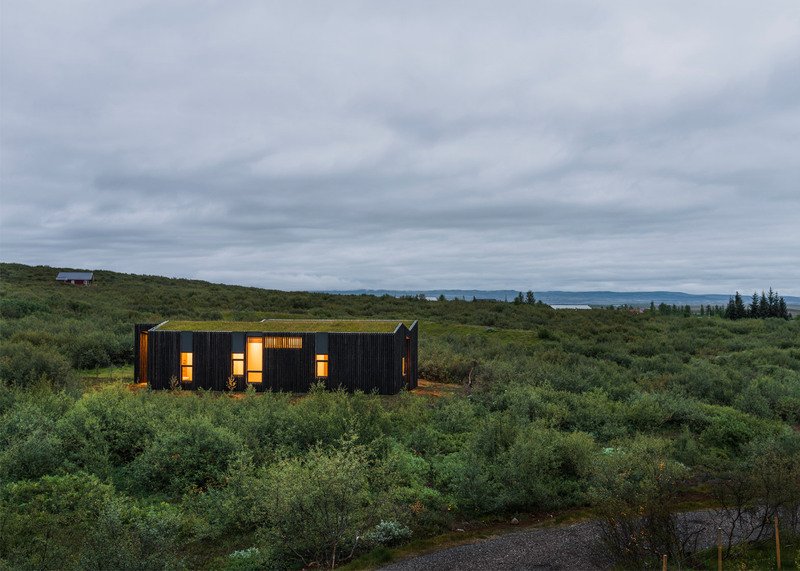 These two cabins form the pilot for the scheme, which is called BHM Vacation Rental Cottages. 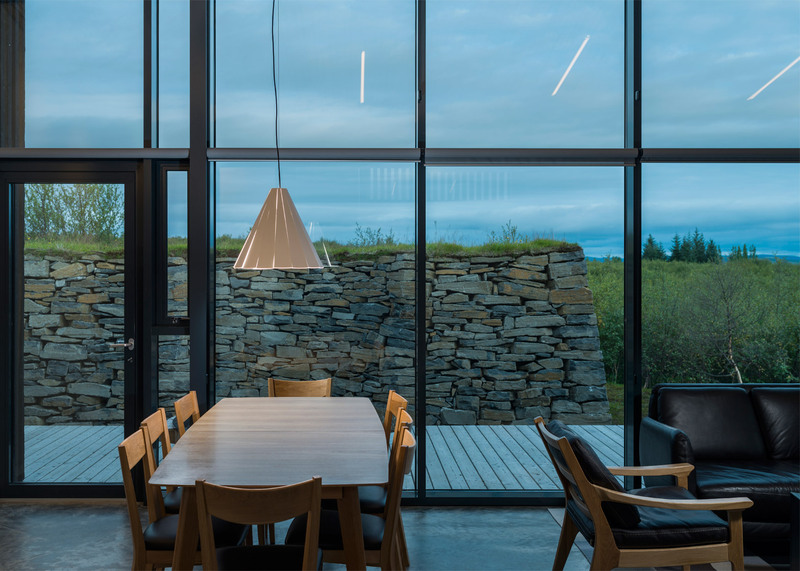 The rental cottages are located in Brekkuskógur, a lakeside area around 50 miles east of Reykjavík, and feature large windows and terraces that aim to take advantage of the scenery. 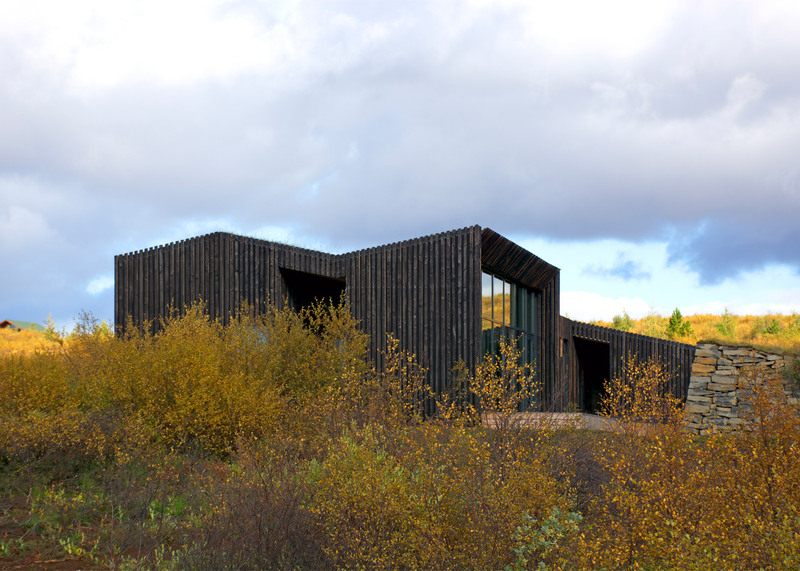 "The main focus of the design is to create a semi-rural architecture that blends in with the landscape and the surrounding mountains," said PK Arkitektar. 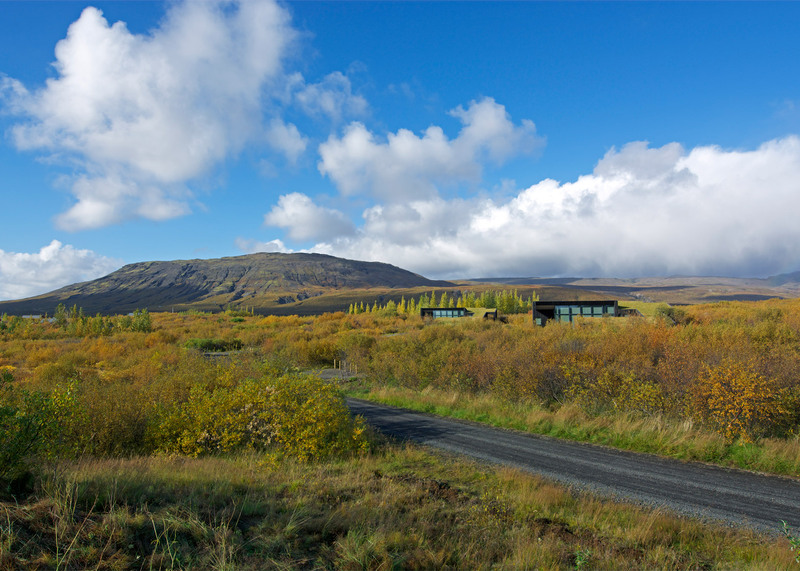 "The area features picturesque surroundings with uninterrupted views from each cottage to the nearby lake, Laugarvatn." 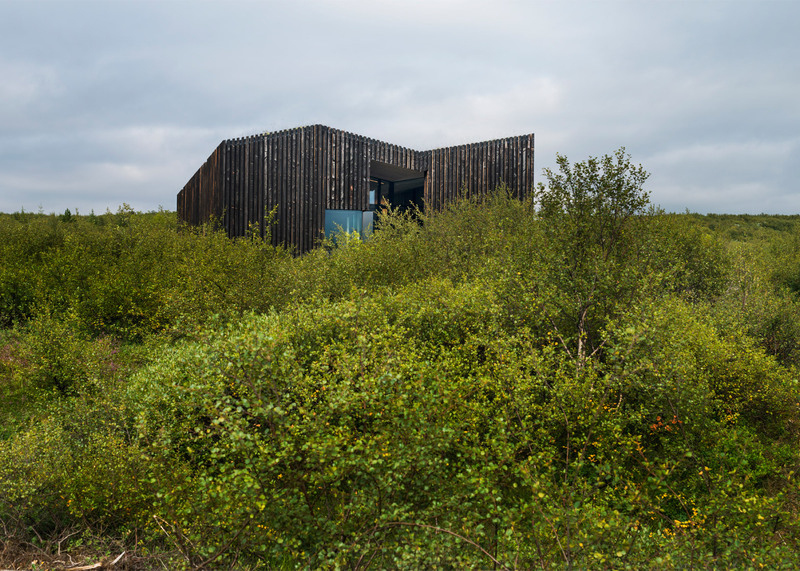 The timber buildings are both covered in strips of charred wood cladding, while vegetation preserved during the site clearance was reinstalled on the roofs. Earth excavated during the construction of the concrete foundations is built into wind-breaking mounds around the terraces, and also forms ramps around the edges of the buildings. These features are designed to give the house longevity, but also as a reference to the local turf houses. 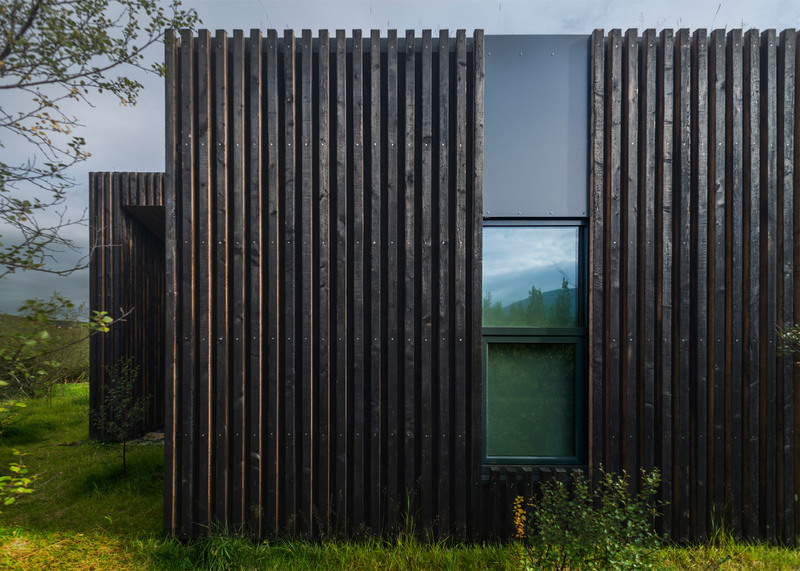 "The exterior is clad with burnt hardwood paneling, utilising a method well known in Japan among other countries, to enhance the durability of the wood," explained the team. 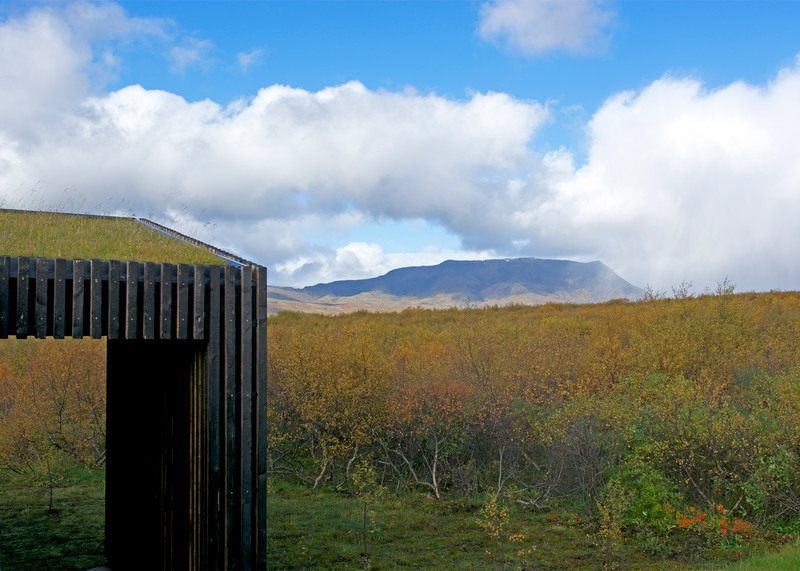 "The roof is a grass layer fused together with the surrounding slope, a traditional method used in the old vernacular turf houses in Iceland." 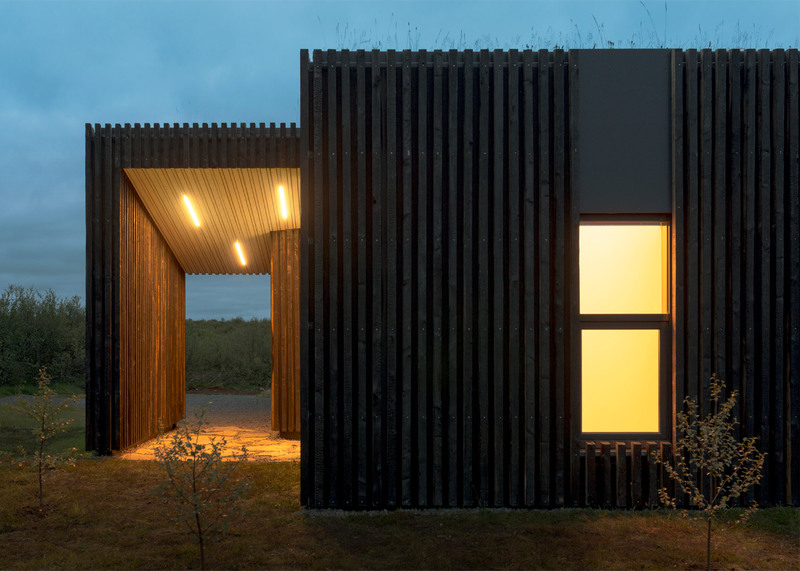 Inside, the floors in each of the cabins are polished concrete, while the walls and ceilings are lined in strips of light-coloured timber spaced in the same intervals as the exterior cladding. Living and dining spaces are set in the centre of the cottages, while bathrooms have access to decked terraces leading to a geothermal hot tub. Geothermal energy is also used to power the cabins, giving them "close to zero carbon footprints". The spaces are dressed with neutral-toned textiles and furniture, and grey cabinetry throughout – emphasising the the views through the cabins' abundant windows. PK Arkitektar is led by architect Pálmar Kristmundsson. 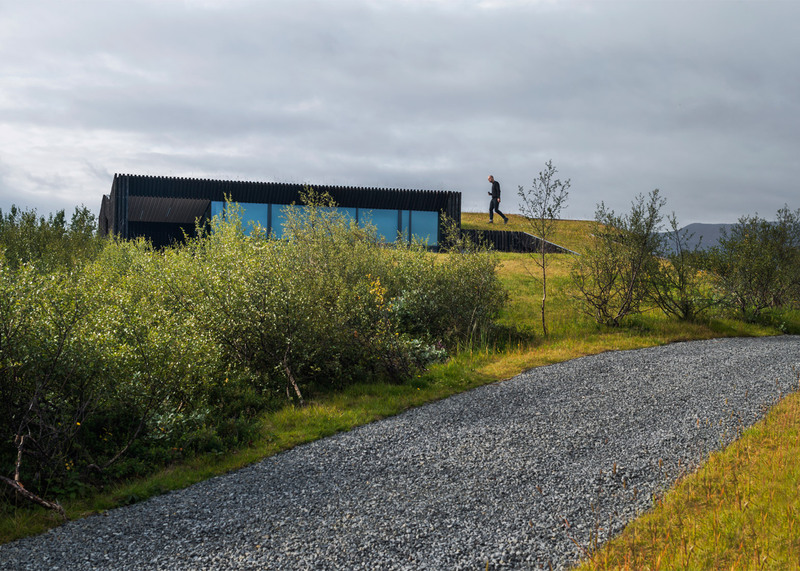 It previously created a ridged concrete residence overlooking a glacial valley outside Reykjavík, while in the city it used red volcanic stone to conceal the doorway of a bright white house. Photography is by Rafael Pinho, unless otherwise stated.